How do I properly install the XSound helmet speakers for the best sound? For proper installation, our XSound helmet speakers need to be touching your ears during use inside your helmet. You may use the included foam spacing pads to achieve this (XS3 only). We also recommend that the helmet speakers are mounted in a more forward and lower position in the ear pockets to accommodate your ears more effectively. BEFORE MOUNTING THE SPEAKERS IN YOUR HELMET. It is recommended to test and connect the helmet speakers directly to your smartphone or music player first using the 3.5mm cable and holding them to your ears as your music plays to confirm the optimal position before mounting them in your helmet. MY HELMET SPEAKERS FIT TOO TIGHTLY. Certain brands of helmet and headgear are designed for a tighter fit and may not accommodate our speakers. Please determine whether your helmet can comfortably accommodate the extra 1/2 inch of helmet speaker on each side before your purchase. MUSIC CRACKLES OR POPS WHEN USED WITH A MOTORCYCLE HEADSET OR BLUETOOTH RECEIVER. ARE THEY DEFECTIVE? Try connecting the helmet speaker directly into a smartphone or music player and play at the same volume. If the crackling or popping disappears, your motorcycle headset or Bluetooth receiver is likely the cause. They tend to not support low-frequency outputs because typically their stock speakers do not deliver audio in that range. While our XSound series of helmet speakers are designed and tested to be able to play at max volume on smartphones and music players without distortion, iASUS does not recommend listening to music at excessive levels which may lead to temporary or permanent hearing damage. Please proceed with caution. 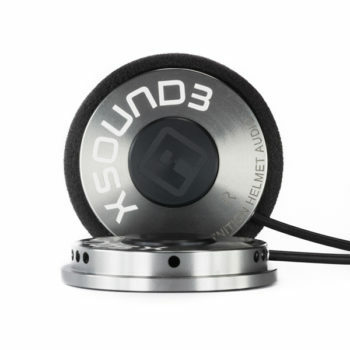 As the XSound’s quality makes them the ideal choice to replace the stock speakers which motorcycle headsets come with, we are unable to confirm the compatibility with every model of motorcycle headsets (and Bluetooth receivers) out on the market. THE AUDIO PLAYS AT A LOW VOLUME OR WITH LOTS OF TREBLE AND LACK BASS. 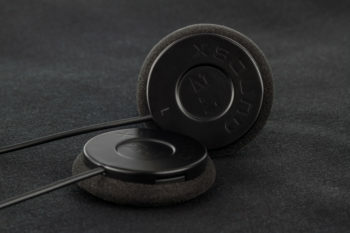 Please use the foam pads (XSound 3 only) to position the speakers so they sit flush against your ears the same way you held them on your ears before installing them in your helmet. Yes. VAT and import charges including custom import restrictions are the responsibility of the buyer. We accept payment via PayPal and credit card. For for more details about our sales policy, please refer to Shipping and Returns. We will send you a confirmation email with a tracking number once it has been issued. My order is incorrect/damaged/defective. Can I return it? You may return defective, damaged, or incorrect items within 7 days of receiving them. To initiate the returns process, you must fill in and submit an RMA form, which is subject to approval at the discretion of our customer service department. Click here for detailed information about our returns policy. Please note that items that have undergone significant use and those that have been modified or damaged by the user are not eligible for refund or replacement. Is my personal information safe on this website? Absolutely. iASUS Concepts takes your information security seriously. Learn more about our privacy and security measures here. How do I check the availability of a certain item? All items are available unless marked otherwise. iASUS Concepts strives to make sure that our product information is up-to-date 24/7. This is not, however, always possible. If you have ordered something that is not available, we will cancel the order and notify you right away, and you will not be charged for the purchase. Unless it is listed on our site, no. However, we are always interested in new and interesting products. If you have a product you’d like to suggest to us, please direct and email to our sourcing agents at info@iasus-concepts.com with a link and brief description. I’m having trouble adding items to the shopping cart and/or completing my order. Please make sure your browser is set to accept cookies from iASUS Concepts. For more about cookies and your privacy, click here. Refer to our Contact Us page for more information about how to get in touch. HAVING TROUBLE WITH YOUR iASUS PRODUCT? HOW DO I SET UP MY THROAT MIC? Plug the throat mic into the PTT/VOX splitter using the mini DIN connectors. Plug the 3.5mm pin of the adaptor wire for your radio or phone into the PTT/VOX splitter. If you would like to use PTT, plug adaptor into the PTT jack on the PTT/VOX splitter. If you would like to use the VOX function, plug it into the VOX jack. Plug the other end of the adaptor into your device. Place the neck band around your neck. Position the transponder so that it sits flush to your neck. To use VOX mode, make sure your VOX-enabled radio or phone is set to VOX. Simply start speaking to activate transmission. If using a PTT, simply press the button on the splitter or PTT and talk. To receive, release the button. You should keep readjusting the throat strap and testing the unit until you find the “sweet spot.” Everybody has a “sweet spot” about 1/2 inch to 1 inch from the center of the throat that balances volume and clarity; when you find it, fasten the strap securely at the back. Positioning is different for everyone, depending on factors such as individual anatomy, voice quality, and amount of facial hair. Moving the transponder closer to your voice box at the center of your throat will boost the volume, but may cause distortion. WHAT IS WRONG WITH MY iASUS PRODUCT / WHY IS IT NOT WORKING? Please visit our Troubleshooting page for solutions to the most common problems. If your question is still unanswered, you can contact your reseller’s customer support or contact us using our customer inquiry form. WHAT IS THE ONE YEAR LIMITED WARRANTY PROGRAM? All IASUS throat mic systems come with a One Year Limited Warranty. In order to be eligible for warranty service the item must have been purchased from one of our authorized resellers and you must have registered your product within 12 months of purchase. You must RETAIN YOUR ORIGINAL PROOF OF PURCHASE to receive warranty service. For details, refer to our Warranty Registration page. DO YOU WANT TO KNOW MORE ABOUT OUR TECHNOLOGY? WHEN WILL iASUS CONCEPTS DEVELOP A BLUETOOTH COMPATIBLE HEADSET? The iASUS “Stealth” Bluetooth throat mic concept has been under development for some time, and the engineering and design team has been carefully evaluating its feasibility. Fully functional iASUS “Stealth” Bluetooth prototypes have been created, and we are about to begin testing. We welcome you to send feedback or comments to info@iasus-concepts.com with the subject heading “Stealth Bluetooth Headset”, or if you wish to participate in our prototype testing. IS THERE ANY RISK TO MY HEARING USING A SINGLE-EAR EARPIECE DEVICE? In particularly noisy environments such as concerts and clubs, pairing your throat mic’s single-earpiece with an earplug in the opposite ear is a MUST. This is because in order to register sound, the brain processes the dominant sound level from either the left or right ear. That means that when using the NT3 or Black Ops 2 in a loud environment, the volume of the audio source needs to be louder than the external noise in order for your brain to “hear,” resulting in potential loss of hearing in high volume situations. Earplugs are also recommended for use in conjunction with the GP3/GP3-X2’s stereo helmet speakers while riding. WILL THE TRANSPONDER PICK UP WHISPERED COMMUNICATIONS? iASUS Noise Terminator throat microphones WILL pick up whispers, but their transmission quality depends on the quality of your radio. Recreational radio transmissions are generally not powerful enough. We suggest using a high-power professional grade radio and turning up the volume on it to successfully transmit whispers. Please keep in mind that in VOX mode, whispers might not be enough to trigger the transmission function. HOW DOES THROAT MICROPHONE TECHNOLOGY WORK? iASUS Noise Terminator Throat Mics are different from conventional headset communication systems. Traditional boom microphone systems are based on acoustic induction from sound waves in the air. By contrast, iASUS Throat Microphones pick up voice signals via vibrations generated by the user’s larynx through a transponder that rests on just off the center of the throat. This way, our throat mic systems “eliminate” background noises by simply not picking them up, making tbe NT3 ideal for use in noisy environments and in situations where quiet, covert communication is necessary. Some throat mics use a double-transponder design in which each transponder rests on either side of the throat. This is not ideal, because most people do not have perfectly symmetrical necks, which leads to an imbalance of the transmission wavelengths from each transponder and causes distortion. iASUS has engineered the NT3 with a single transponder that hits the “sweet spot” about 1 to 2 inches from the center of your throat. WHAT ARE THE APPLICATIONS OF THROAT TECHNOLOGY? Throat microphones were first used by tank crews and military pilots in WWII whose helmets and breathing apparatus made conventional microphones impossible to use. The technology has since advanced, improved, and expanded in its popularity and use. For more information, visit History of the Throat Mic and About Throat Mics on our About Us section.